Web designing is one of the most promising and creative fields on the web. Web designers have the most creative yet sometimes the most stressful job because they are supposed to give results in a particular deadline. Trending designs, styles and strategy keep changing every year and 2018 is no exception in this regard. 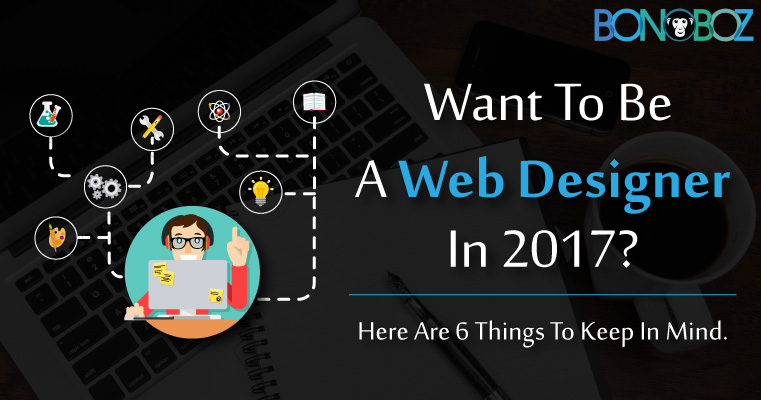 Here are 6 things to keep in mind to become a web designer in 2018. The first month of 2018 is complete and if starting to work as a web designer was one of your new year resolutions then we’ve got a few things to get you started. Always remember: Big players might dominate the market as always, but that does not stop anyone from making their mark with their exceptional work. Illustrations, handmade sketches will be emerging in the future because of its ability to convey the direct and accurate message without any filters. Also, handmade pictures tend to give nostalgia to users and hence they connect better with the content and the message you want to convey. Subtlety which is achieved only by illustrations, sketches, and handmade graphics will create a more literal channel through which you can showcase your services and products. Another benefit of handmade graphics is that there are no copyright issues due to their originality. You can explain almost anything with a creative handmade sketch and reach out to more people. Material design is here to stay for a long time. Ever since Google has adopted the material design which is based on the grid layout, major websites have turned their designs and plan to material and grid user interface. Material design is bold, direct and intensive with realistic visual components that increase the look and feel of the overall design. Motion triggers emotion. 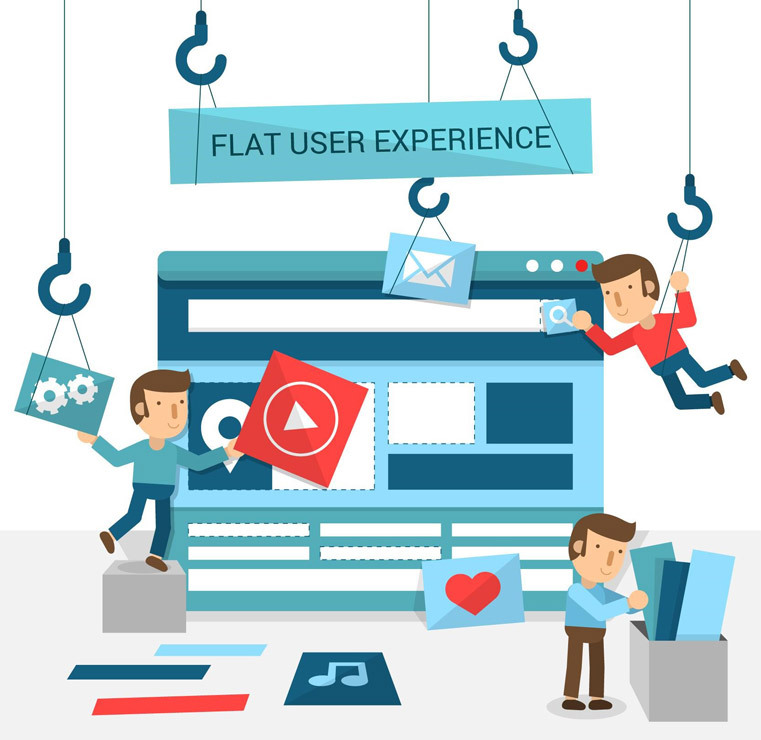 Gone are the days when static images and icons were ruling the web design and people awestruck with those vector images that designers used in the header and slider. Now, thanks to more internet accessibility, people can easily stream videos. So it is good to have an introductory video in the slider of your website. It would be even great if you can make separate short videos for various services. Try to make it concise so that the website loading speed is not hindered due to excessive size of the video. The whole concept of micro-interaction is to increase the engagements and interactions on the website and make people stay by giving them a fun and pleasant experience. Let’s take an example to understand this, you log in your Facebook account, are surfing your news feed and come across a post shared by one of your friends. Earlier, what you could do is just like or comment on the post, but now, you can give your reactions on that post. This way many people have started to find it interesting and are spending more time on Facebook through these micro-interactions. Since more businesses are shifting to making their website, more ideas will evolve for making people stay on those websites. Despite the facts that competition has become fierce, more creative ways will be created to increase the session time of visitors. Last year few announcements and ideas on virtual reality and 360° had created buzz on the internet. However, very few real-time applications are available of the technology, but we believe that enabling virtual reality experience or 360° video streaming will engage more users. Social networking websites like Twitter and Facebook have started providing 360° video streaming where you can broadcast any live event through your smartphone and your friends can see full the full set-up by moving the cursor or their finger over your video. This formula can work like magic if applied on websites because you can let your viewers stay on the website while showcasing your new products attractively. It can be a great tool for marketing and promotion. Gone are the days when very few font families were trending like Tahoma, Helvetica, Open Sans and Lato. Slightly “decorative” styles were used only in headlines. For some time now, designers are ready to work with bold and unique fonts and typography by using animated text, individual letters with independent visual effects. To sum up, to all those willing to start their career in the field of web designing, keep in mind that above all creativity which solves problems is the essence of the success. You have to keep trying new things which make things interesting and solve business challenges. P.S. In case you’re looking to find an employment opportunity in web designing company in Ahmedabad, do take a look at our careers page.